Understanding Rights to Workers’ Compensation in Florida | Johnson & Gilbert, P. A. 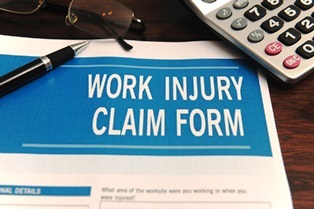 Most employers in Florida are required to provide workers’ compensation benefits to employees who are injured or contract an occupational illness on the job. The workers’ compensation program in our state is a no-fault system that provides people with benefits, regardless of the cause of their accidents, as long as they were work-related. employers for their injuries in most cases. We outline the types of benefits you may be entitled to and important deadlines you must meet when filing a workers’ compensation claim. There are two important deadlines you must comply with in order to be eligible for workers’ compensation benefits. The first is the time limit to report your injury or illness. You have 30 days from the date of your injury, or when you become aware of your injury or occupational illness, to report it to your employer. If you fail to do so, this could prevent you from receiving benefits. The second is the time frame you have to file a claim. You have two years from the date of your injury or illness to file a benefits claim. Again, lack of compliance with this statute of limitations could jeopardize your right to payments. If your employer doesn't provide the benefits you think you're owed, you would need to file a petition for benefits with the state's Office of the Judges of Compensation Claims. Medical expenses. The company is responsible for paying your necessary medical care, such as doctor visits, surgery, hospitalizations, physical therapy, medications, prosthesis, travel expenses for treatments, and other expenses. Your employer’s insurance company has the right to require you to be treated by an authorized physician it designates. Temporary total benefits. You may be entitled to different types of wage loss benefits to provide you with partial reimbursement of your wages while you're off work recovering. You can receive up to two-thirds of your weekly pay up to a maximum weekly amount set annually. For example, in 2018, the maximum weekly benefit was $917. Temporary total benefits are paid when you're off work until you reach your maximum medical improvement (MMI), which is the stage when your doctor says you've recovered as much as you will. Temporary partial benefits. These are paid when the doctor releases you back to work with restrictions, and you haven't reached your MMI. Your pay while on job restrictions must be 80 percent or less of your pre-injury wages. You can only receive total or partial benefits for 104 weeks or your MMI date, whichever is earlier. Permanent impairment benefits. If you sustained a physical, psychological, or functional impairment that exists when you reach your MMI, your doctor will assess a permanent rating for your disability that's utilized to calculate your weekly permanent impairment benefits. Permanent total benefits. These are paid if your injury or illness causes you to become permanently and totally disabled. You must meet certain requirements to qualify under Florida’s workers’ comp laws. Death benefits. A family member of a worker killed in a work accident may be entitled to payments for funeral expenses, as well as and dependency benefits in an amount and for a period of time set by law. Do you have more questions about your rights to workers’ compensation benefits? Need help filing your claim? Our experienced workers compensation attorneys can guide you through the process and protect your legal rights. Call us today to schedule your free consultation.